Wracking your brain to come up with the perfect name for your start-up? Here are three simple principles you should keep in mind. At the 99U conference in New York City, Emily Heyward, head of strategy at branding firm Red Antler, talked Thursday about one of the first–and most difficult–things an entrepreneur has to do: Name the company. Heyward had three principles start-ups should keep in mind when attempting this task. 1. Do no harm. “It’s better to have a neutral name, that’s easy to remember, easy to style, easy to pronounce, with no obvious negative connotations or limitations. A name that can’t be confused with competition,” said Heyward. Think of your name as a blank canvas that can be styled to your messaging and the product experience itself. Don’t worry about coming up with a name that is going to express everything that your business does, advised Heyward. “Chances of that happening in one simple word are very, very slim,” she said. 2. Own it. Literally. There is a lot of competition in the start-up space, noted Heyward. In order to really own your name, you need to own the URL; especially, if you are launching a web company. 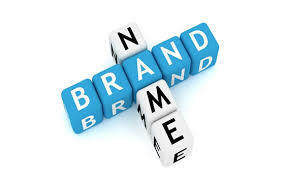 While the URLs can be adjusted or modified, they do need to link back to your name and brand. Heyward warned that picking a name with a URL availability can be disheartening and frustrating process. “We go through a lot of names that get discarded” just because of that reason, she said. 3. Give the right impression. “Think about the company that you want to launch. Make sure that you are getting it right in terms of category, the target and the tone. This is pretty basic, but you wouldn’t want a light hearted, silly name for something that’s very serious and vice versa. And at the same time, you wouldn’t want something dry for a fun company,” said Heyward.